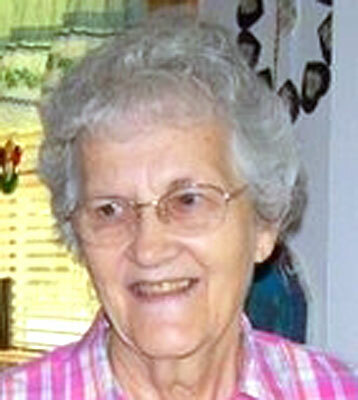 AUSTINTOWN – Eleanor M. Chambers, 87, died Saturday morning, Feb. 15, 2014, at ValleyCare Northside Medical Center. Mrs. Chambers was born Feb. 28, 1926, in Poland, a daughter of Paul and Catherine Wiles Klem. On Feb. 6, 1954, Eleanor married Albert E. Chambers and together they had a son, Gary. She lived in the Youngstown area most of her life and was a homemaker. In younger days, Eleanor was an avid bowler as a member of leagues as well as with her husband, Albert who also loved the sport. “Al” and “El,” as they were often referred to by those closest to them, also loved to fish for walleye. Parts of many summers were spent at favorite spots in Ontario, Canada, where when fish refused to bite, the Milky Way provided a show on moonless clear nights. Those years were always looked back upon with great reverence as that was time well spent doing what was loved in a beautiful place. Time spent with grandkids was always enjoyed. Eleanor was a member of the United Hungarian Presbyterian Church of Youngstown for which she often donated her time as a bookkeeper. Prior to marriage, she was a billing clerk for the Youngstown Sheet and Tube Company. Eleanor is survived by her husband, Albert of 60 years this month. She is also survived by two sisters, Anna Mae Kearney of Youngstown and Helen Botsko of Struthers. She leaves her son, Gary (Lora) Chambers of Prospect; grandchildren, Renee (Chris) Hayes of Columbiana, Rosalie (Nick) Opritza of Boardman, Ian and Chloe Chambers of Columbus; and nephew Denny (Sharon) Pallay of Boardman. Besides her parents, Eleanor was preceded in death by four sisters, Donna Jean Johnson, Betty Anderson, Catherine Niemi, and infant sister, Beverly; and four brothers, Paul, Francis, Robert, and infant brother, George Klem. Visitation was held Monday, Feb. 17, 2014, from 5 to 7 p.m. at the Lane Family Funeral Homes, Austintown Chapel, with the funeral service following at 7 p.m. There will be another visitation today, Feb. 18, 2014, from 11 a.m. to noon at the Lane Family Funeral Homes, Austintown Chapel. Interment will be at Green Haven Memorial Gardens in Canfield. The family requests that memorial tributes take the form of contributions in Eleanor’s name to the United Hungarian Presbyterian Church of Youngstown. Please share your memories of Eleanor.